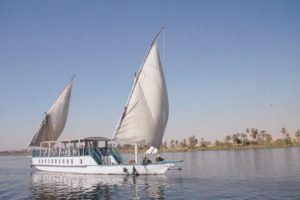 Jane also arranged a three-day/night boat trip, sailing on the Nile from Aswan to Luxor. 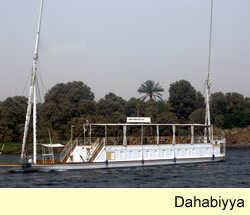 What a spectacular way to view the island tombs and temples. 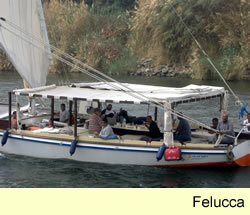 A large crew, replete with Egyptian Chef, all who curried our every wish and need, while onboard. The craft was spacious and housed three ensuite cabins. 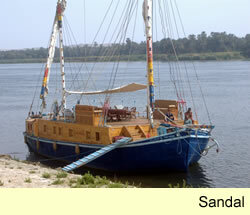 The unhurried sail was an exceptional way to view a long past civilization, with all the amenities of a current one. You will find a safe and stable society, whose children excitedly greet you in English, always asking your name and shouting “Hello’s” and “HI’s” and an adult population which appreciates the contribution you are making to their economy. We felt perfectly secure in all our travels and tours, with tourist police and normal cops to watch over our enjoyment of their precious antiquities.